Lock in a great price for Boutique Hotel Villa Pattiera – rated 9 by recent guests! I can't recommend this place enough. The staff was so friendly and helpful. Our room was amazing, with a large terrace.facing the church and the water. We tired to change our entire schedule just to stay another night. Room was large and nicely decorated, with a very large balcony. Great location and the staff was very helpful. They served us breakfast early to accommodate our early flight. The dinner was excellent. Perfectly located in town. Great friendly staff. A charming character building. Our room had a lovely terrace overlooking the town and harbour. The hotel restaurant is most certainly one of the best in town. The food was consistently very good. We do not normally use the same restaurant more than once whilst on holiday but this deserved exception. 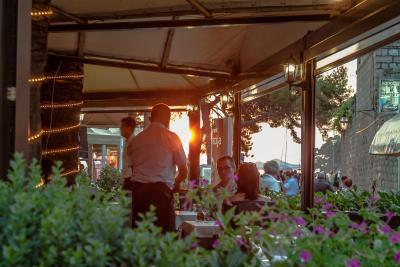 Our waiter Louro was always courteous, helpful and attentive. Morning staff were equally so. Don't normally eat cooked breakfast on holiday but their bacon is the best I've had in the med. Location. Also, the staff was one of the most congenial, helpful and efficient that we have ever experienced. Service was impeccable. Staff was very friendly, helpful and efficient. Breakfast was excellent nice and friendly service. I would recommend this hotel very highly. The restaurant within the hotel was excellent. 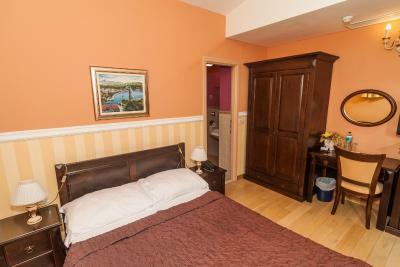 small and friendly place, great location for all amenities lovely staff, great breakfast. 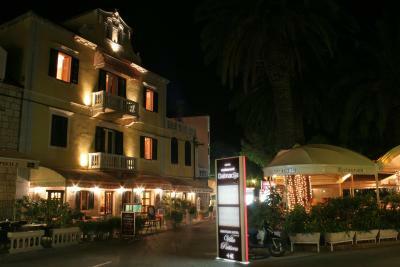 Small hotel located on the waterfront in the Old Town. Room was lovely with access to a shared terrace which would have been great for a longer stay. Staff were very helpful and friendly. 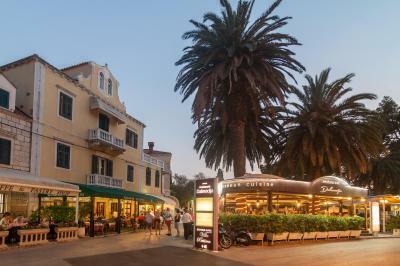 Cavtat is ideally placed for an overnight stay for an early morning flight. Great little hotel in a marvellous location. Food was great. genuine family run hotel. Very friendly and helpful staff, excellent breakfast, superb location. Boutique Hotel Villa Pattiera This rating is a reflection of how the property compares to the industry standard when it comes to price, facilities and services available. It's based on a self-evaluation by the property. Use this rating to help choose your stay! 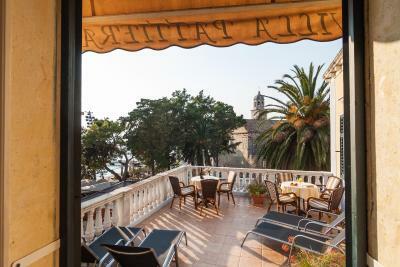 This 4-star family-run boutique hotel is situated at the beginning of the promenade in the historic quarter of Cavtat, in a centuries-old mansion. 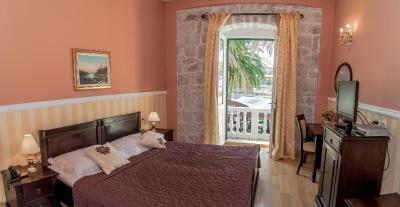 Villa Pattiera offers 12 luxuriously equipped and nicely decorated rooms. 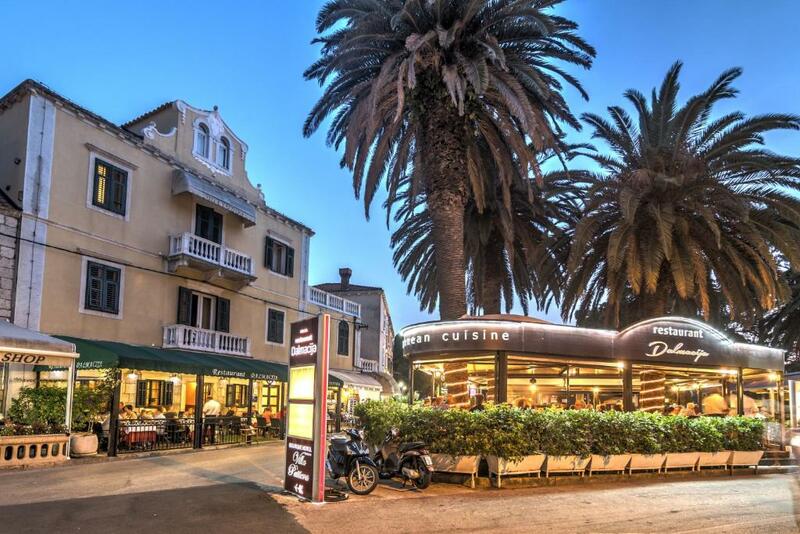 The courteous hotel staff is happy to provide you with information about the the breathtaking sights of the historic quarter of Cavtat, the endless choice of activities in the town and its vicinity, or on the magnificent beaches. Weather permitting, you can enjoy your complimentary breakfast every morning outside on the terrace. Please note that this property has a minimum stay policy of 3 nights from July 25th until August 25th. 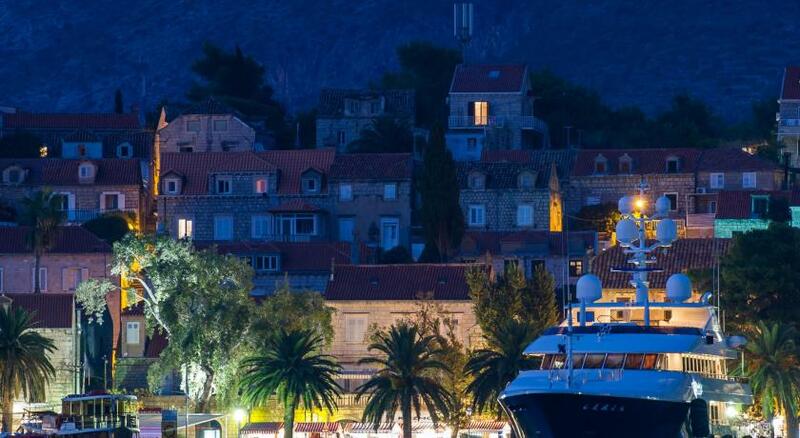 This is our guests' favorite part of Cavtat, according to independent reviews. 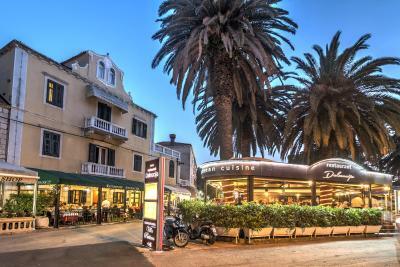 This property also has one of the top-rated locations in Cavtat! Guests are happier about it compared to other properties in the area. 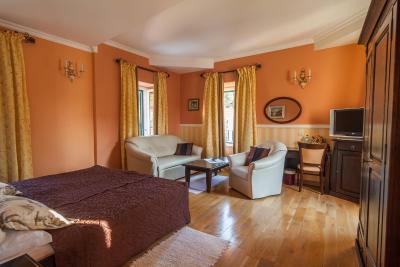 When would you like to stay at Boutique Hotel Villa Pattiera? Air-conditioned room featuring a seating area, a TV and a mini-bar. 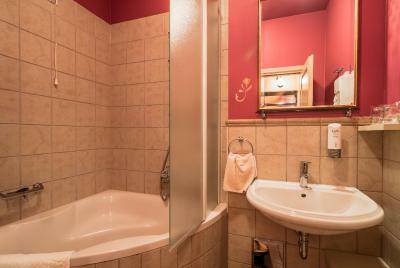 Private bathroom offers a shower, hairdryer and slippers. The room overlooks the park. Air-conditioned room featuring a seating area, a TV and a mini-bar. 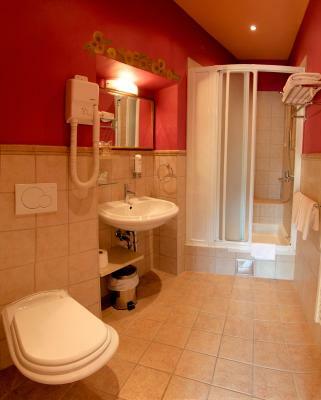 Private bathroom offers a shower, hairdryer and slippers. House Rules Boutique Hotel Villa Pattiera takes special requests – add in the next step! Boutique Hotel Villa Pattiera accepts these cards and reserves the right to temporarily hold an amount prior to arrival. bed was a little low down ...difficulty to get out of it !! three problems; 1) wedsite is misleading as the hotel is close to but not on the water ; 2) you have to park in public parking and pay an additional $20 and quite a distance with bags ; 3) the hotel does not have an elevator so after taking your bags 3 to 4 blocks you have to carry them up 3 flights of stairs. They omit ALL of these on their website. Lack of car parking and access to old town is restricted so it was a bit of a pain unloading our luggage as we had rather a lot. The hotel was extremely comfortable. Breakfast was excellent and served by Michella, not sure of the spelling of her name, who is an absolute treasure, so good and so helpful. The location of the hotel is superb too. There was no wifi reception in the room. Clean, very well situated and the personnel was very friendly. 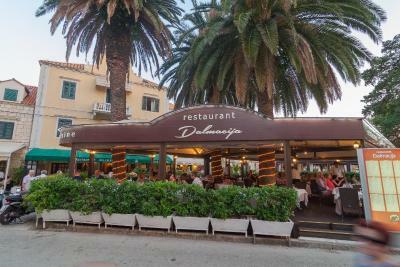 The food in the adjoining restaurant was very good, but service was not so efficient when the restaurant was busy. It would have been nice to have a proper double bed, instead of twin beds pushed together. We had a room with a balcony that overlooked the harbour which was an unexpected bonus. The breakfast food and service was very good and reception staff were friendly and helpful. There is no own parking! 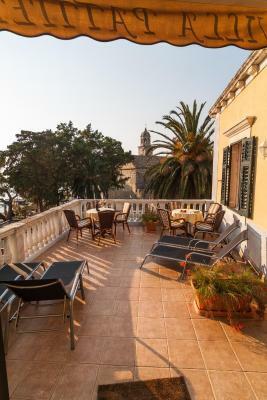 Perfect location, easy to reach Dubrovnik. Friendly people! Very clean room! And Very big bathroom. They didn’t answer an email which I sent through booking.com before my departure. Location, staff, breakfast very good.